The history of the German Prints Collection at the Pushkin State Museum of Fine Arts is closely connected to that of the Engravings Cabinet that appeared as part of Moscow's Rumyantsev Museum in 1861, when Emperor Alexander II donated 20,170 engravings from the Hermitage Museum in St Petersburg. Alexander's gift included works by the all the major classical engravers, which made the Rumyantsev Museum's first ever exhibition, "The Great Masters of Engraving" – held in honour of the museum's opening in 1862 – a possibility. 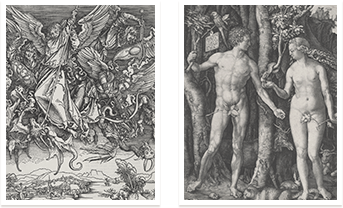 Among the works on display were a number of first-class engravings by Albrecht Dürer, which remain some of the master's finest prints in the Museum's collection. During the 150 years of its existence, the collection of the Engravings Cabinet has grown almost 20 times and now contains almost 400,000 prints, including more than 22,000 works produced by artists who worked in Germany, Austria and Switzerland in the 15th–20th centuries. 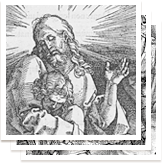 The collection of Dürer's engravings at the Pushkin State Museum of Fine Arts contains 215 prints (121 woodcuts, 88 copperplate prints, two drypoint works and four etchings), as well as a large number of later prints and copies. The quality of the prints varies, but overall, they are good. Of the most interest are ten rare proofs on wood from The Life of the Virgin, The Large Passion and The Apocalypse series. Unfortunately, the Pushkin Museum's collection of engravings by the man who taught Albrecht Dürer is noticeably thin. 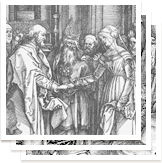 Of the 117 copper engravings produced by Martin Schongauer, only 19 prints and a few copies of his works are kept by the Engravings Cabinet. 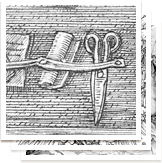 Michael Wolgemut's illustrations to Hartmann Schedel's The World Chronicle appear in the museum's collection in the form of engravings cut out from books only.